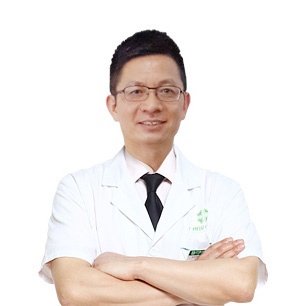 Specialty: Be expert in comprehensive treatment of Viral Tumor (like liver cancer, nasopharyngeal cancer and cervical cancer) and breast cancer, prostate cancer and colon cancer, etc. Since started work in 1987, it has been 30 years and Dr. Hu Xiliu has accumulated rich clinical experience on cancer treatment. He believes that a good doctor can hardly do without steady basic medical knowledge and profound medical knowledge accumulation through continuous improvement, which can achieve self-promotion. Through 30 years’ experience accumulation, he sums up that disease treatment should be a process of treating disease, controlling body and then governing mind. His revered motto is with both a benevolent mind and heart. Using the principle of combination of traditional Chinese and western medicine, promoting minimally invasive treatments and adjuvant psychological therapy, Dr. Hu Xiliu has gradually improved his medical state and contributed efforts to patients with all sincerity. Since started work in 1987, it has been 30 years and Dr. Hu Xiliu has accumulated rich clinical experience on cancer treatment. Through continuous learning to strive for progress，Dr. Hu Xiliu has published dozens of papers in different journals.